Disney’s Kingdom Hearts 3 has been actively receiving pre-orders and reservations. Amazon indicates that they will be releasing their pre-orders of the Playstation 4 product item on December 31, 2015. 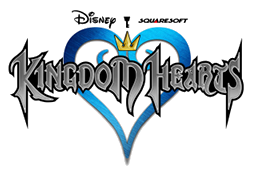 The version which can be readily purchased in the meantime is the II.5 remix of Kingdom Hearts according to the game’s official website. Despite the Amazon release date claims, game developer company Square Enix says that the release date remains unannounced in a report by Game Spot up until January. Recent updates from Crossmap indicate that a more official announcement of an exact release date may be seen at the E3 event in Los Angeles or D23 expo in Japan. Given this, the time range for official announcement ranges between June 16 up to November 8 this year. “Development on Kingdom Hearts 3 is going smoothly, but there will also be new announcements connected to it.” Director Tetsuya Nomura says according to Crossmap. There are other interesting collaborations with Disney recently such as Marvel and Infinity, which makes the Kingdom Hearts 3 possible integrations very exciting for its fans. From an older report from Game Spot, the game company was proactively seeking out customer feedback on its Facebook page based on previous versions of Kingdom Hearts and asked them what they would like to see in Kingdom Hearts 3. This feedback combined with the merging of other interesting characters make for a potentially explosive game under Square Enix USA’s sleeves. As of the time of writing, Square Enix has only been actively retweeting Final Fantasy XVI and stayed mum on social media about Kingdom Hearts. They did however, tweeted their press release schedule for E3 in the middle of the Final Fantasy XVI tweets and retweets. 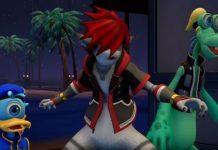 Kingdom Hearts is an RPG mashup containing both Disney and Final Fantasy. The upcoming version may or may not contain other character crossovers from other new partnerships. Next articleThe Originals season 3 Hayley's curse hangs in the balance, Davina must make decision on Marcel; is Klaus and Elijah relationship beyond repair?